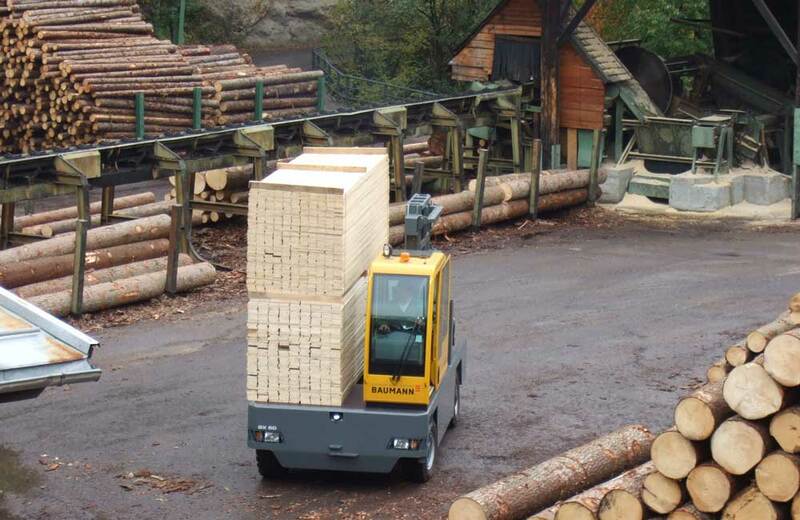 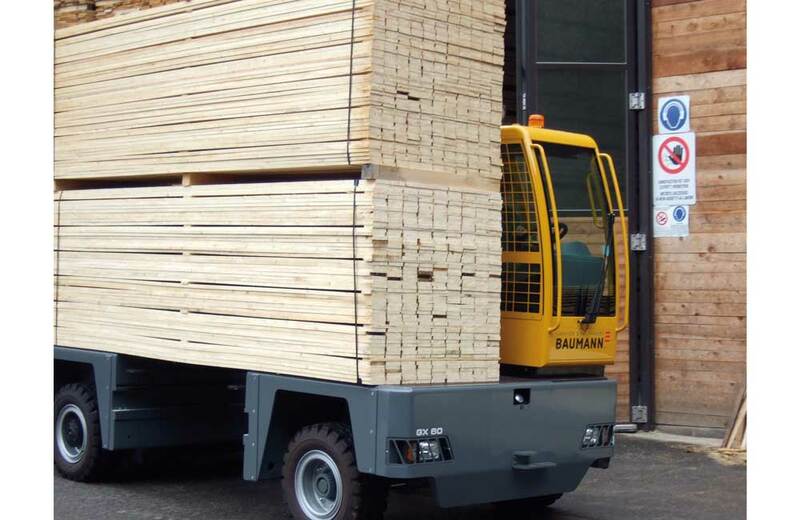 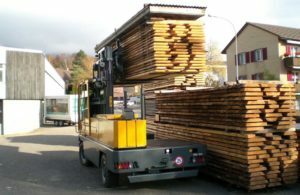 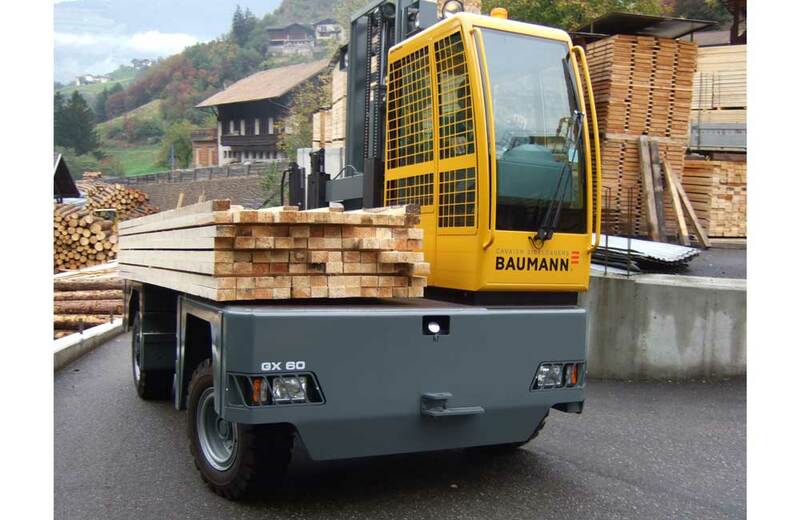 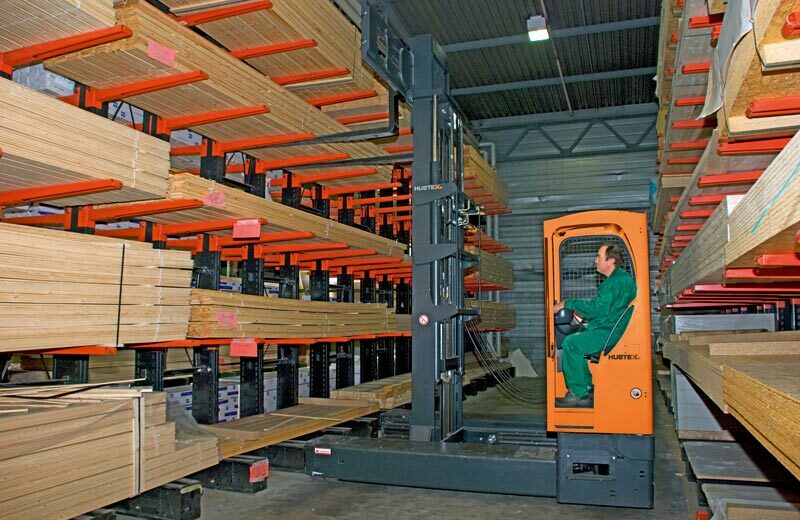 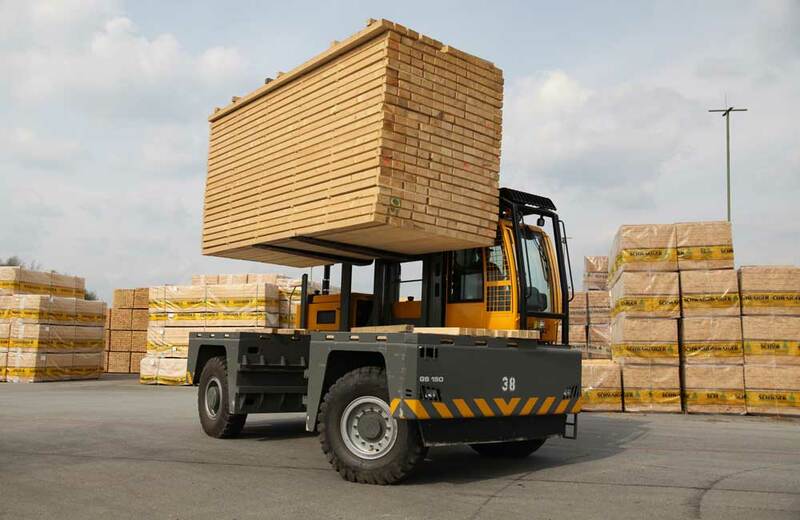 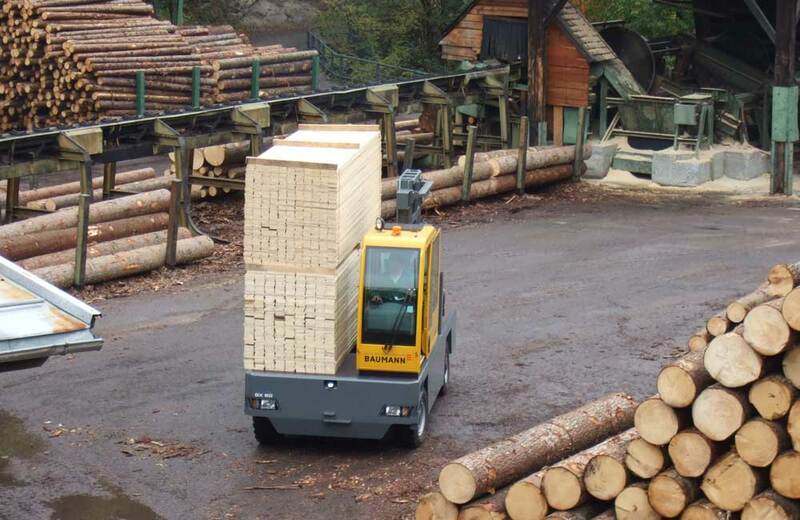 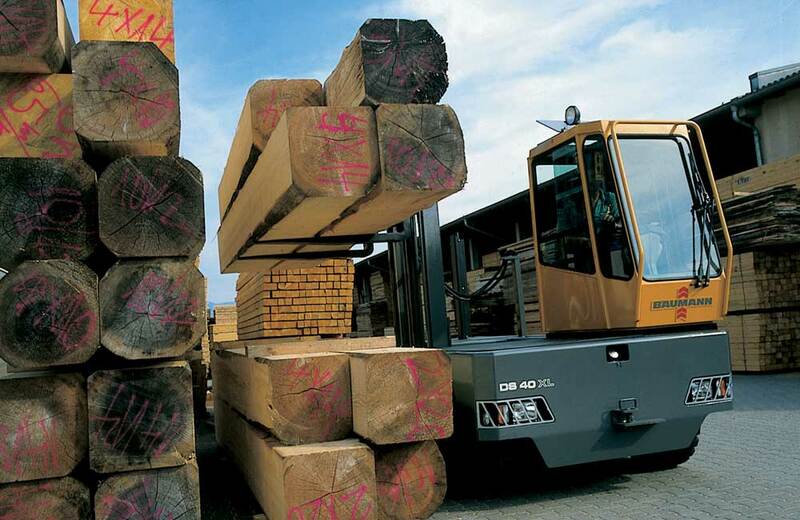 Reliability and quality are the decisive factors for sideloader transportation equipment used in the timber industry. 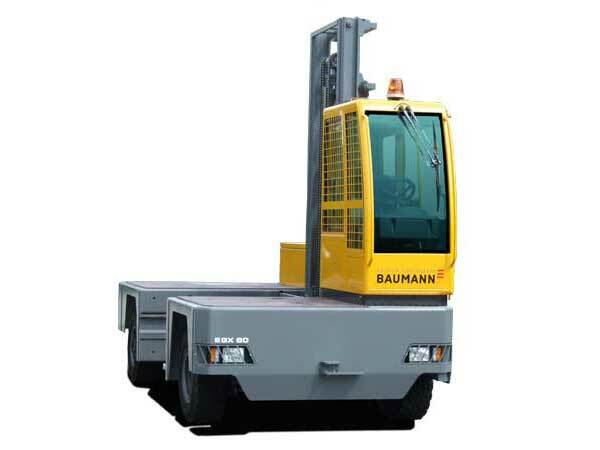 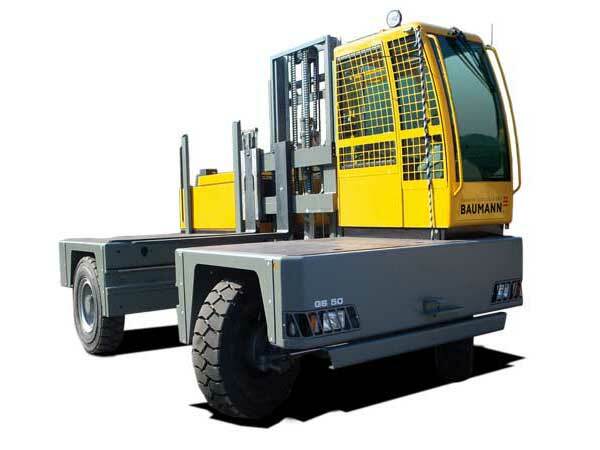 These vehicles tend to operate in harsh working conditions where dependability counts. 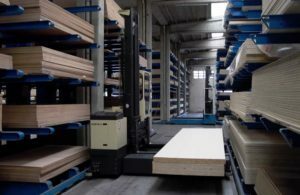 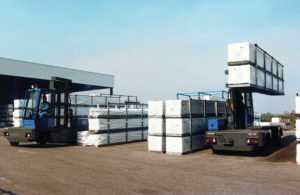 Design Storage supplies industrial trucks to timber wholesalers, sawmills, wood-processing companies, kitchen manufacturers, prefabricated house manufacturers and many other companies all over North America. 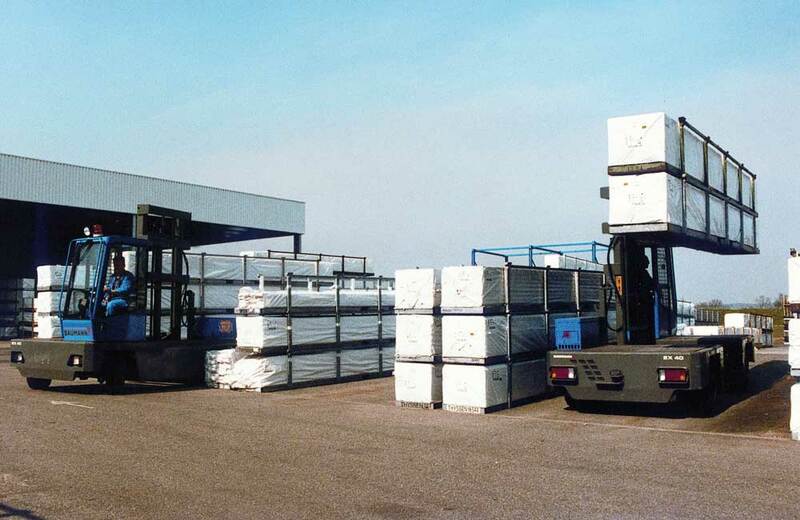 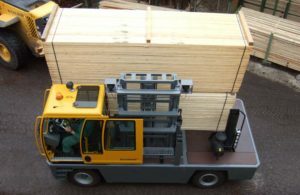 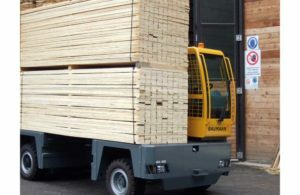 The loads to be transported comprise chipboard, plywood, timber roof trusses, construction and finished timber along with kitchen worktops, doors etc. 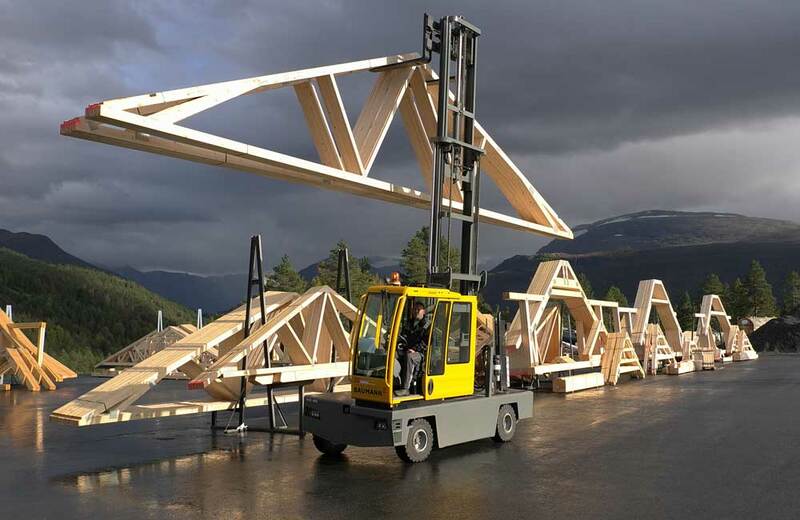 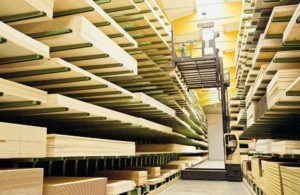 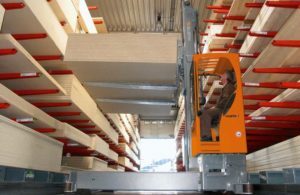 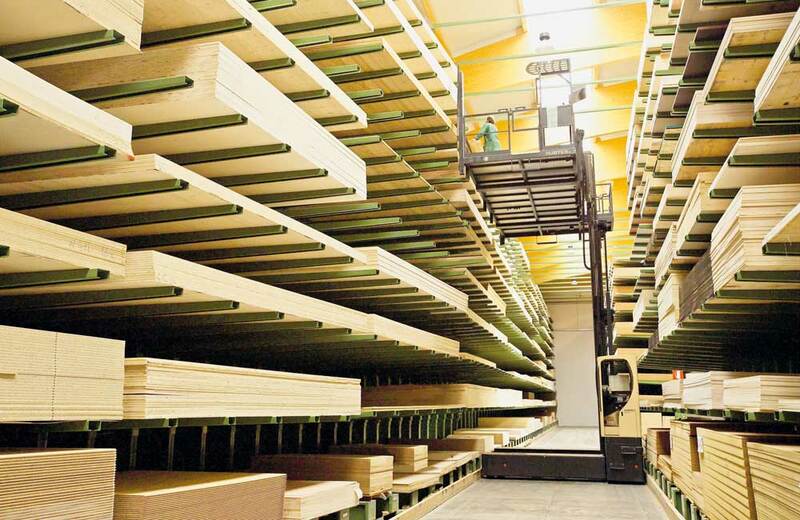 Whether handling rough sawn timber, dimensional lumber, laminated beams or fabricated trusses on less than ideal ground conditions, Design Storage and Cavaion Baumann sideloaders bring true value added solutions to the lumber industry. 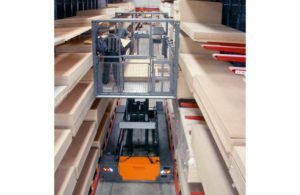 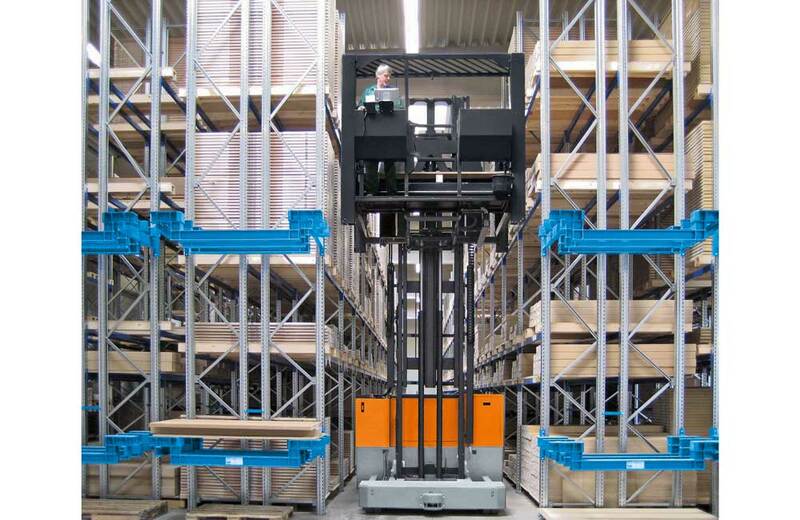 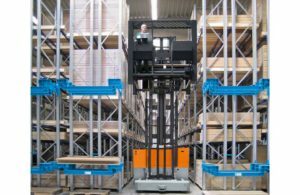 Design Storage specializes in maximizing storage spaces for long loads by using the right sideloader and rack combination. 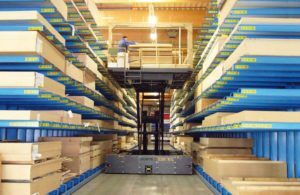 Lumber storage racks can be custom designed to fit your new facility or redesigned to fit into your existing one. 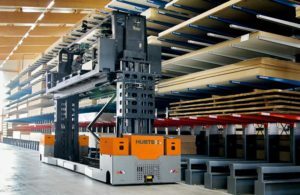 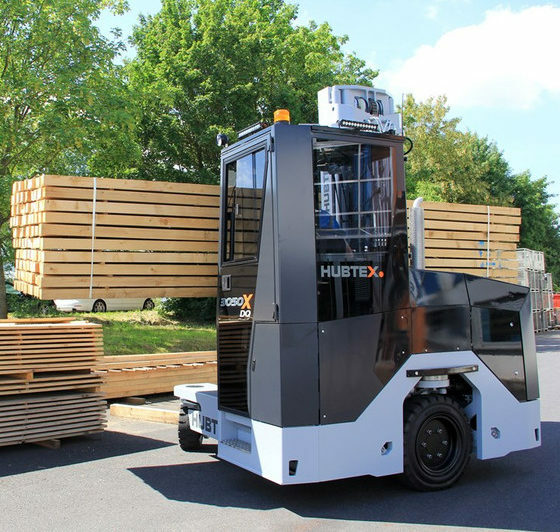 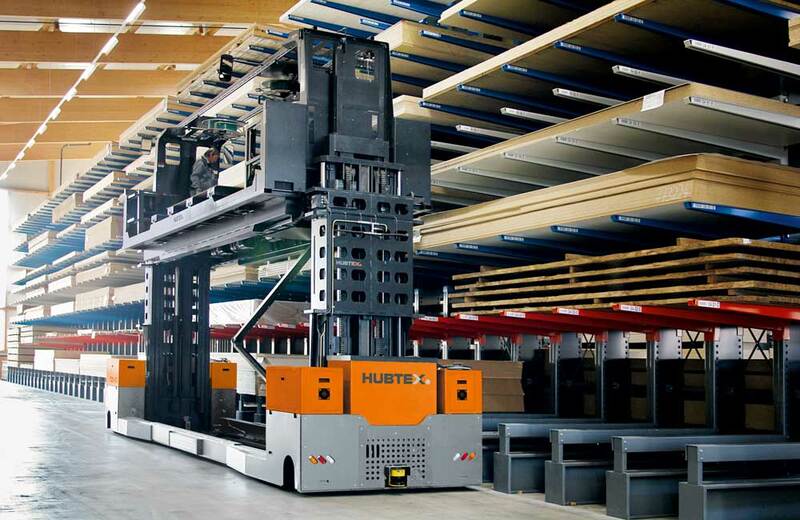 Design Storage and Hubtex have created a variety of products designed to aid in the storage and retrieval of engineered wood. 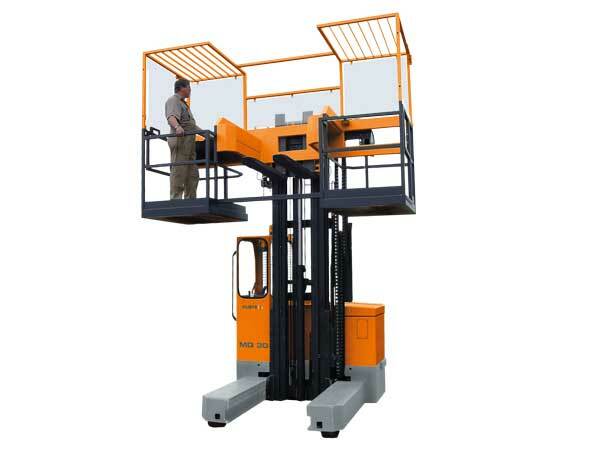 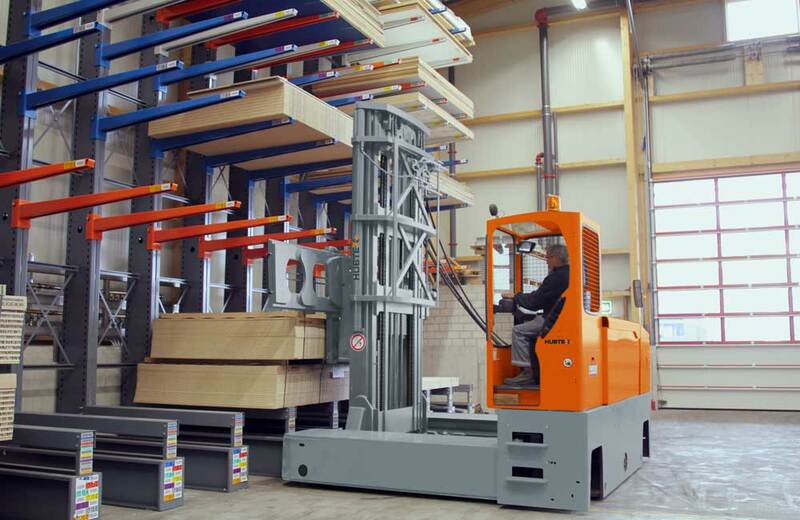 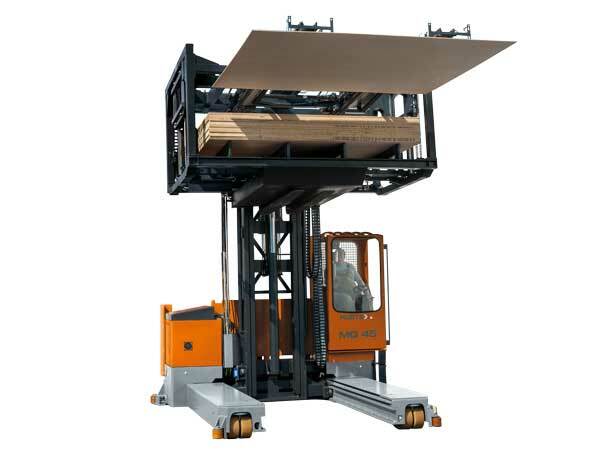 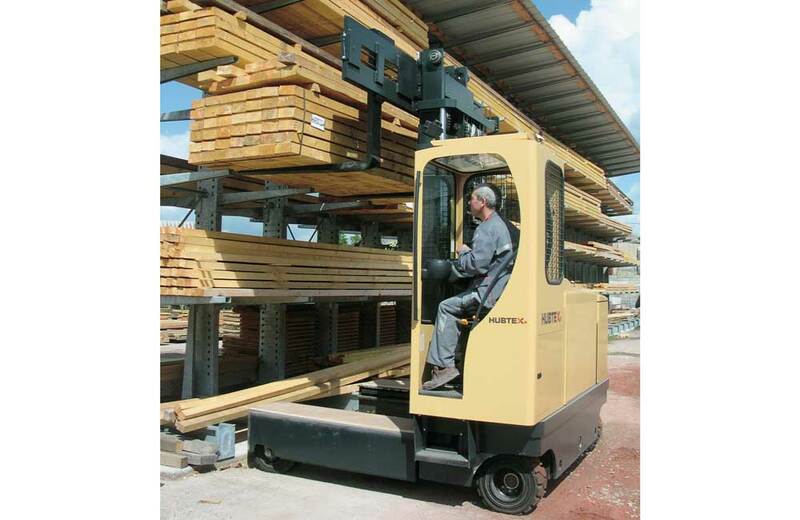 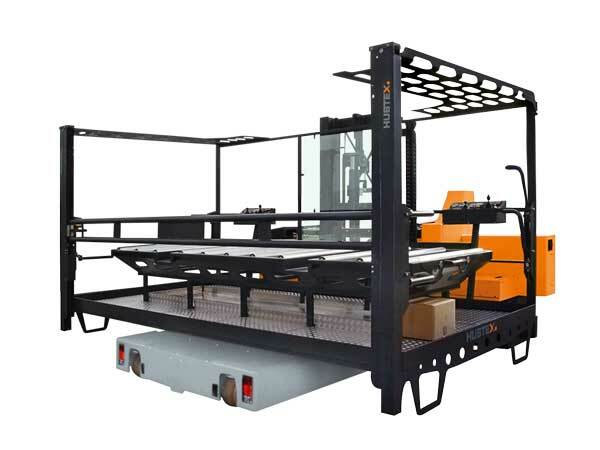 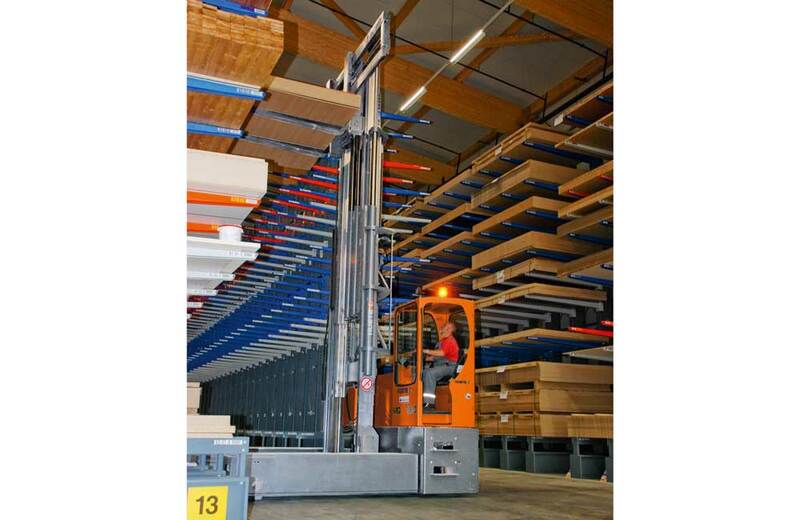 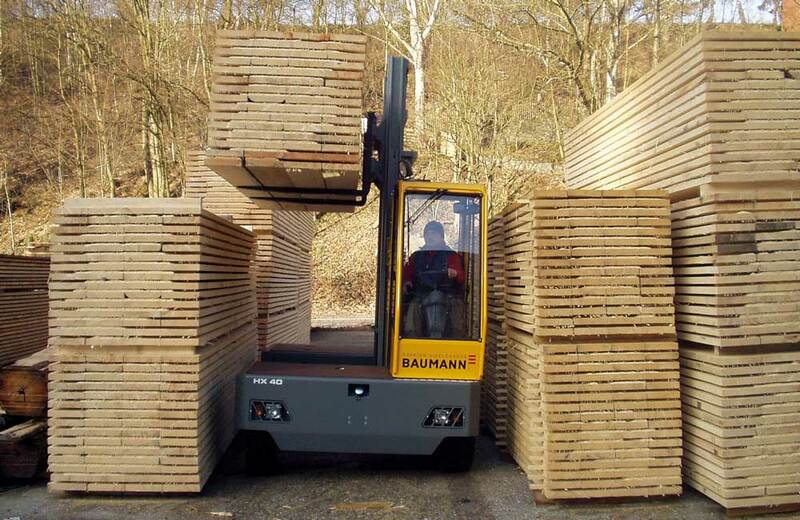 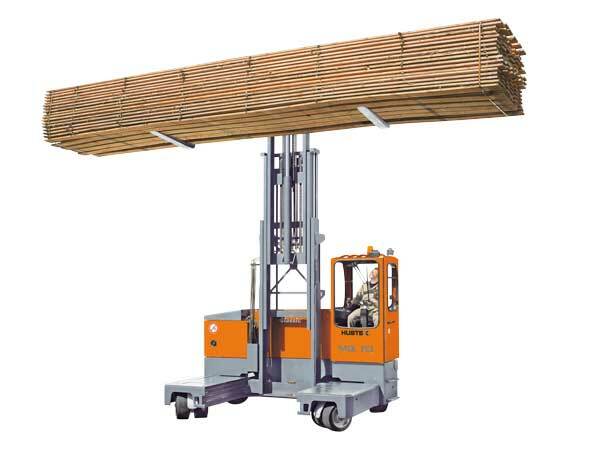 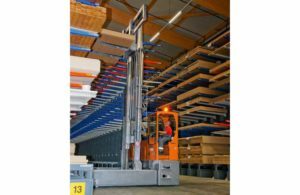 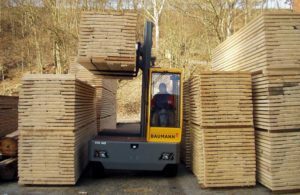 With vacuum attachments, order pickers and multidirectional sideloaders, users can easily transport plywood, fiberboard, laminated veneer lumber, oriented strand board, etc.